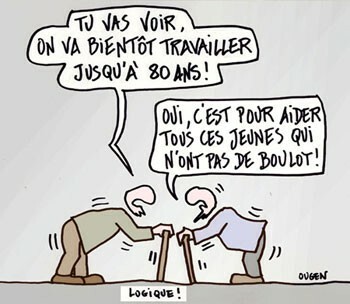 60 ans , c'est bien trop jeune!!!!!! AFTER more than six decades in the dairy industry, Danny Leatham could be excused for wanting a sleep-in. But the 81-year-old - twice retired - is still milking cows every morning and afternoon. "The early mornings still don't bother me," Danny said. "It gets built into you after a while." After leaving school aged 14, Danny worked alongside his father on the family farm at Orbost, in East Gippsland. "It was just a bare paddock when Dad bought it, but he built a house and a walk-through dairy," he said. "We moved there on the day England declared war on Germany in 1939. I worked with Dad until I was 21, then he decided to put a sharefarmer on, much to my disgust." Danny spent four years working at his family's butcher shop in Orbost, returning to the farm when his father died. "I was married by that time, and Norma and I were there for 28 years milking cows," he said. "We had no electricity at the start, so it was hard work. "You had to cart the cream up to the road and lift it into the old cream stand. No wonder we all had bad backs." Danny spent his spare hours hay contracting "for one shilling a bale". The 49ha farm originally supplied Orbost Butter Factory, transferring to Murray Goulburn not long after the switch from cream to whole milk. In 1986, the couple left the farm and bought the Orbost Dairy. It was Danny's first attempt at retirement. "It was run-down when we bought it and we worked seven days a week, harder than at the farm," he said. A decade later, Danny retired a second time, with one of his five sons, Tony, taking on the business. "Then I took up milking again and I've been there ever since," Danny said. The farm remains in family hands, with son Robert in charge. He has installed a 20-swingover herringbone dairy and improved feeding systems. Weekly Times is not responsible for the content of external sites. Milk man: At 81, Orbost farmer Danny Leatham is well used to rising early for duties in the dairy. Entre nous, je preferais traire encore a 80 piges qu'etre dans un lit ou dans un fauteuil ......si tu peux traure a 80 ans, c'est que tu as encore un minimum de santé......!!! etienne se voit déjà en Nouvelle-Zélande ! Et je n'y mettrai pas la main au feu, j'envisagerai sérieusement un plan B.
Septuagénaire conviendrai mieux, pourtant pour ceux qui suivent, il y a eut des indices laissés il y a quelques temps sur le post d'un forumeur du Cantal grillé. Ou d'un forumeur grillé du cantal qui chantait les louanges de sa Chambre pailleuse ! là c' était pas dairy qui postait , mais ses parents !!!!! surtout conserve les en bon état , après , ce sera plus dur !!!! C'est drole ce genre de remarque qui se repete souvent!!!! Mon grand pere quand il a arreté, mon pere a repris derriere, pourquoi pas moi??? ?